On behalf of Admin of JML Law, A Professional Law Corporation posted in wrongful death on Friday, Feb 15 2019. Living in a city or urban area has its challenges. Los Angeles is known as one of the most congested cities in the nation. With a population of 4 million, Los Angeles is known as one of the largest cities in the United States too. This may seem like an odd statistic to boast about, but with an expanding population, people can find more opportunities for jobs. Conversely, living in such a congested area means that people are more prone to call about suspicious behavior. Not only that, but police really don’t know what they will expect when they arrive on the scene. There is no worse feeling than getting a phone call that your child was killed. To add salt to the wound, your child was killed by the police who have sworn to protect you. Dealing with a wrongful death means that you are filing a civil suit against a person or party for acting negligently. The negligent behavior results in the death of an innocent person even if they were suspected or thought to be a suspect. In the end, life is a life and deserves better treatment than what is being given. This is the experience of the Chavez family. Late one night the police were called to investigate a prowler. The police went to the address and found Chavez, a 25-year old man, and chose to confront him. Chavez’s response may not have been what they wanted as they stated that he looked “agitated”. In order to take caution, they didn’t approach the young man immediately. Instead, they Tasered him and then fired bean-bag rounds to submit him. The police say that the young man acted as if he was high on something. The ambulance was called eventually, but the young man died after he arrived at the hospital. The family is filing a wrongful death claim. They are doing this because they believe the behavior the police used was excessively violent. Instead of using alternative methods to tone down a situation, they resorted to violent methods which lead to a loss of life. Chavez is not the first young man to experience this excess of violence nor will he be the last. Choosing to file a wrongful death claim is not for the faint of heart. It requires stressful days and nights, constant questioning and investigative practices. Choosing to pursue this route is like entering into the world’s scariest roller coaster unknowing when it will end and whether you will puke or not. Our Los Angeles wrongful death Attorneys at JML Law, a Professional Law Corporation are here to ride this coaster with you. We have an expert team that will provide the support and resources necessary for you to seek justice for your loved one. You are not alone in this and we intend to stick it out until the end. 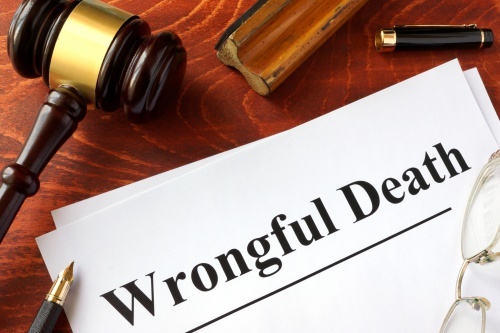 Call 818-610-8800 or click here to start a conversation with one of Los Angeles Wrongful Death Attorneys today.